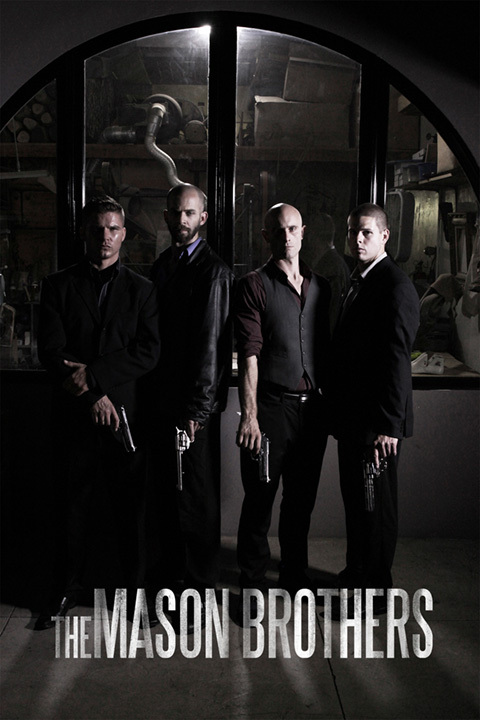 The Mason Brothers – Adler & Associates Entertainment, Inc. It was one perfect crime and one perfect setup, with ten million dollars in the middle of it all. A heist has gone wrong – deadly wrong – for the Masons, a group of brothers who have made bank robbing the family business. Now their little brother Orion is dead, and survivors Ren and Jesse Mason want answers. Holed up in their safe house, the gang retrace their steps leading up to the disastrous ambush by a rival gang that killed him. Somebody has betrayed them, and Ren calls in the help of bounty hunter Jerry to find out who. Jerry tracks down and captures the gunmen who killed Orion, but the conspiracy against the brothers runs far deeper, and as the tension escalates the Masons will be forced to confront their betrayer head-on in a brutal fight for the very survival of their family.